One of my favourite parts of the day is to sit down at the end of it with a nice, ice cold beer and watch the sun go down. There are certain areas within Turkey that are famous for their sunsets and you will find professional photographers flocking there to catch the perfect picture. A glowing orange sky disappearing behind mountains or into the sea is enough to make anyone stand still though, whether you have a camera in your hand or not. On the occasions that I have stayed sober enough, I also like to pick up my camera to capture the moment. A small fishing resort on the Aegean Coast. Yalikavak is often pushed to the side by its neighbouring resort when it comes to beautiful sunsets however I managed to capture this moment and it has become my favourite sunset picture. This resort is the neighbour of Yalikavak and many travel publications will boast about its sunset. There are lots of restaurants along the sea front where you can pull up a chair, order your beer and wait for the moment. 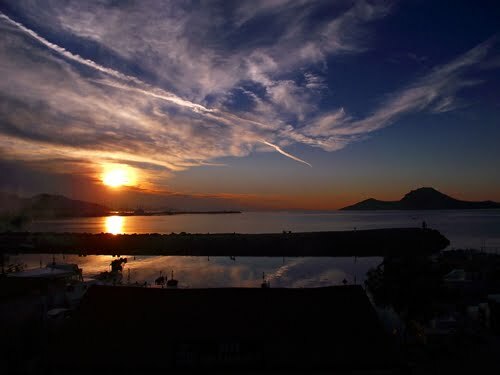 Bodrum has the advantage of being set around a bay and the sun will disappear behind mountains in the far off distance. Even when it has gone behind the mountains, the sky is still a vivid combination of reds and orange colours. The first three pictures were taken on the Aegean coast of Turkey however I learned in November that Cappadocia in the centre of Turkey also has something to boast about. I headed to Rose Valley where I felt quite inferior standing next to all the professional photographers with their thousand dollar cameras. They were friendly enough to share some tips with me and at the same time, informed me that I was there at the wrong time of year. Go to Rose valley in the summer time and apparently the whole sky is pure red. Amazing photographs! Bodrum is my favorite, but all of these sunsets look incredible. Thanks for sharing! I think that Turgutreis is my favorite. Beautiful scenery! I really love a good sunset! HI Natalie, I was just writing a post about sunsets in Turkey and our travels last year. Happy to see you had some lovely sunset photos too. I just linked back to your site, so people can see your photos as well. Fantastic, can’t wait to come back. @Sarah. Looking forward to your photos of Jamaica. Knowing you, you will have some fantastic ones. @Ayak. Thanks Linda. Wished I had visited there in the summer but still happy with what I saw on my trip. 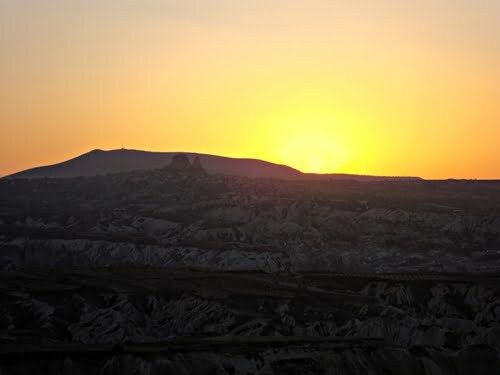 It’s not just the sunsets in Cappadocia that are so beautiful. Almost every part of the day will see the rocks changing colour with the movement of the sun…stunning. These are increditable. I always love sunset but I haven’t took any photos of sunset yet. I’m thinking when I go to Jamaica later I so need to take one sunset photo after seeing your beautiful post. 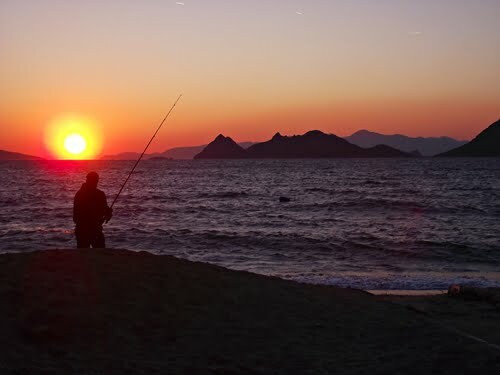 BTW I especially love that orange sun in 2.Turgutreis. @TFl. They are addictive. I would love to see your collection. 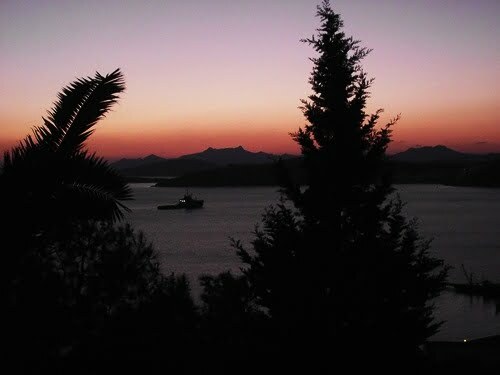 @Bodrum does have wonderful sunsets and If you ever make it further up the coast there is a place called Mavisehir. Wonderful. The sky glows a bright orange. @iamthewitch. Fishing is so peaceful and relaxing. I gave it a go once but alas, caught nothing! @Aaron. It is hard to describe why I love sunsets so much. Promise you it is not the effect of the beer! Fantastic shots. 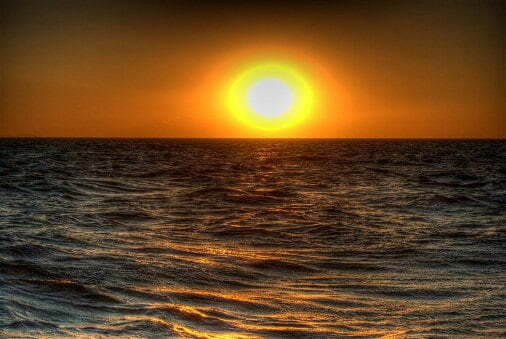 What is it about a sunset that captures our imagination so completely and mesmerizes the soul. I do love the sunset in Bodrum, reminds me of Calis Beach. Fond memories of relaxing in a cafe watching it. I love the sky in your Yalikavak photo. My laptop is completely overloaded with sunset photos. They’re very addictive aren’t they!